Personal Secure Storage (PSS) is a secure cloud based storage solution. It is designed for the storage of your most important and sensitive personal and business documents. When you store your important files in PSS, you can be sure that they are accessible only by you. Files stored in PSS are locked away in the electronic equivalent of a safe-deposit box. The only way that you can access the files is by using your PassKey. 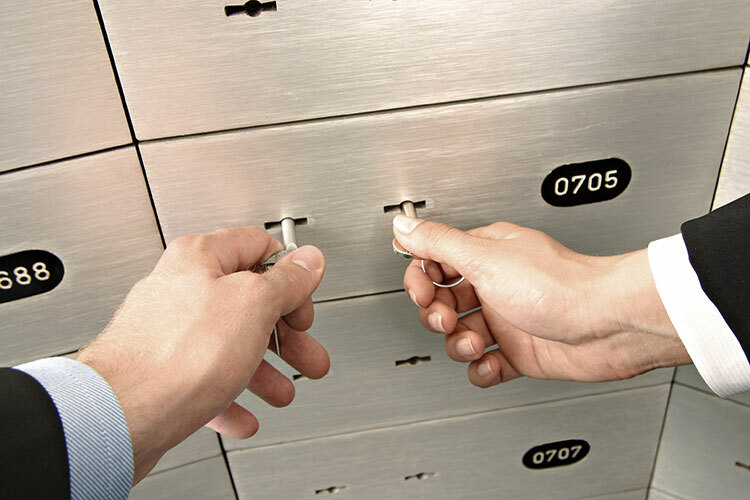 The bank cannot open your safe-deposit box without your key and your files cannot be accessed without your PassKey. Your files are encrypted, fragmented, and dispersed to 12 different locations in the cloud. 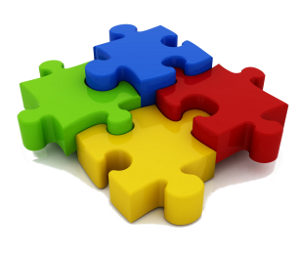 It is similar to taking a jigsaw puzzle, masking the image, separating the pieces into 12 containers and then storing each container in a different global location. If someone found one of the boxes they would not be able to put the puzzle together again. That is how secure your files are with PSS. 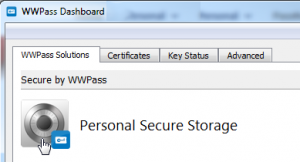 Getting started with WWPass Personal Secure Storage is easy!